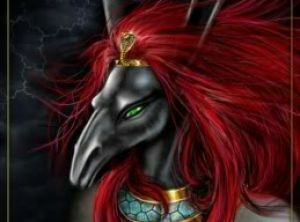 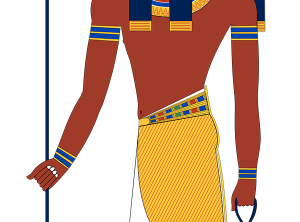 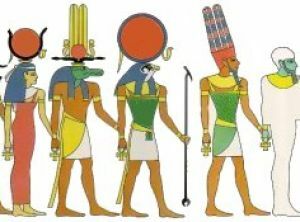 Egyptian mythology is the collection of myths from ancient Egypt, which describe the actions of the Egyptian gods as a means of understanding the world. 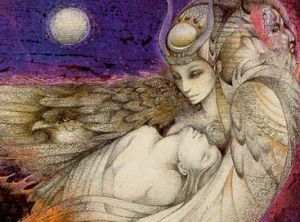 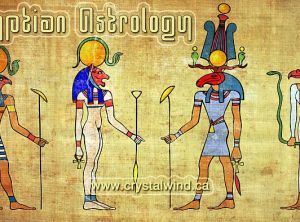 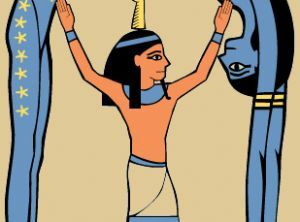 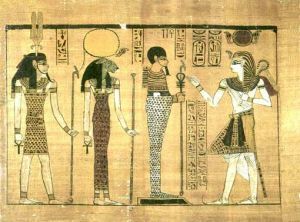 The beliefs that these myths express are an important part of ancient Egyptian religion. 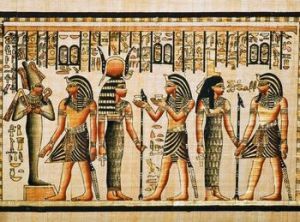 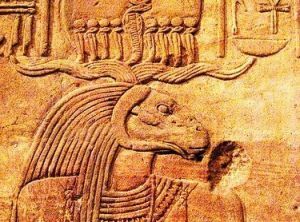 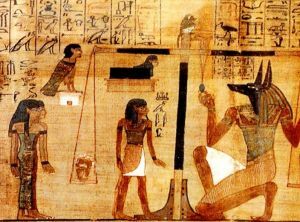 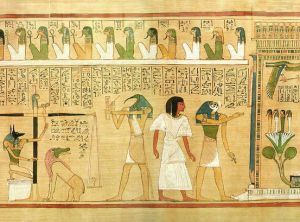 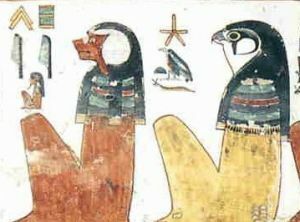 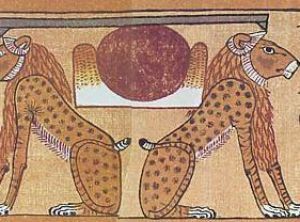 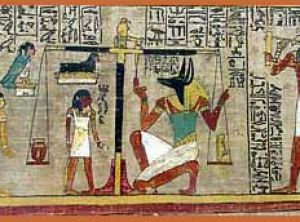 Myths appear frequently in Egyptian writings and art, particularly in short stories and in religious material such as hymns, ritual texts, funerary texts, and temple decoration. 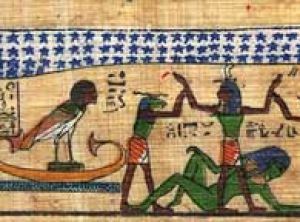 These sources rarely contain a complete account of a myth and often describe only brief fragments. 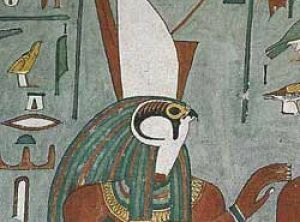 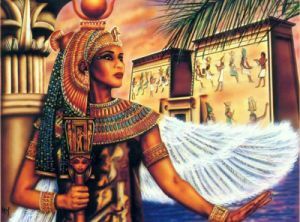 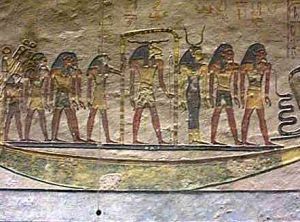 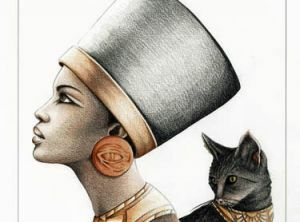 Egyptian Mythology was the belief structure and underlying form of ancient Egyptian culture from at least c. 4000 BCE (as evidenced by burial practices and tomb paintings) to 30 CE with the death of Cleopatra VII, the last of the Ptolemaic rulers of Egypt. 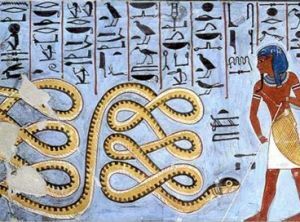 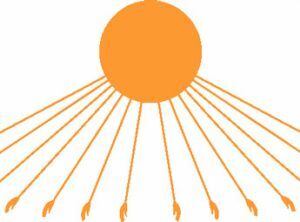 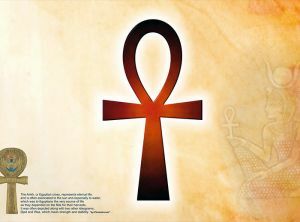 Every aspect of life in ancient Egypt was informed by the stories which related the creation of the world and the sustaining of that world by the gods.